The Powers of a Trustee are vast and can often take up pages in a Florida trust. In addition to the powers contained within a trust document, there may be additional powers / duties that the trustee has which were created by statute. Below are a few of the common powers found in most trusts. A trustee has many powers in Florida to administer a trust. The power to administer the trust comes from both Florida law and the trust document. A trustee also has an obligation to administer the trust in the best interests of the beneficiaries. If a trustee fails to properly administer the trust or breaches a fiduciary duty, then a trust may be challenged through a trust contest. Many trusts are designed to allow the trustee to have discretion when deciding how to distribute trust assets. If a trustee acts in good faith, the Florida courts will not interfere the exercise of discretion by a trustee. Further, Florida law presumes the trustee is acting in good faith and the challenger must present evidence to break this presumption. A trustee is required to act reasonably and through good faith, and the rest of this article will further explain these duties. If the trust was created for a certain purpose, then the courts will also require the trustee to act toward achieving the trust purpose. Giving a trustee discretionary powers is often a good thing. This discretion can be very helpful to protect the trust’s assets if the settlor of the trust believes the beneficiary is not a financially responsible person, for instance. It can also protect the trust from creditors. Creditors of a beneficiary are not allowed to demand payment from the trust if the trust is truly discretionary and cannot force the trustee to distribute trust funds. Instead, the creditors can only make a claim against the distribution once the trustee decides to make the payment. This can preserve a great deal of wealth and provide future generations with financial security. Trustees do have great power in Florida, however, this power is limited to the fiduciary duties set forth in the Trust code. Under Florida law, a trustee has the duty to administer the trust in good faith. This means the trustee must administer the trust in accordance with the terms and purposes of the trust. A trustee can find the law for administration with good faith under Florida statute section 736.0801. Further, the trustee must administer the trust solely in the interests of the beneficiaries according to Florida Statute section 736.0802. The trustee must also act impartially when administering the trust property pursuant to Florida law. This does not mean that the trustee cannot favor one beneficiary over the other, as often times a trust is designed by estate planning attorney to give the trustee discretion over trust fund distributions. A trustee must also administer the trust according to the prudent person standard. The trustee should consider the purpose, terms, distribution requirements, and other circumstances of the trust. The trustee must also exercise reasonable care, skill, and caution. The prudent person standard is a subjective standard, but this basically means the trust should be administered in a professional manner. The trust assets should be diversified, for instance, so the funds aren’t at risk. If the trustee has a special skill or expertise, then Florida law requires the trustee to use these skills. For instance, if the trustee is a stock broker then the beneficiaries of the trust would expect the trustee to utilize these skills when investing the trust assets. 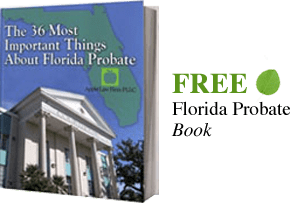 A Florida probate court could find a trustee that fails to use these special skills to be liable when a normal trustee would not be liable. The trustee also has a duty to protect the trust’s assets and to keep the assets safe. This duty could mean that the trustee should keep a valuable jewel in a safe lock. Further, its law that also requires the trustee to keep the trust’s investments diversified. The trustee also has a duty to keep the qualified beneficiaries of the trust reasonably informed about all monies, funds, assets, and personal property owned by the trust. The trustee must also keep a record of any funds distributed by the trust to the beneficiaries. Finally, the trustee must report any gains or losses of the trust principal or income. The trustee must provide the beneficiaries with certain relevant information regarding the assets and liabilities of the trust. Further, the trustee must defend against claims against the trust by creditors or other interested parties. This allows the trustee to use trust funds to defend the trust to the highest degree. A trustee can encumber, pledge, or mortgage, an asset for any term even if longer than the term of the trust. The trustee can also borrow any money to be repaid from trust assets. Borrowing and lending in a Florida trust must be to a prudent investor standard. A trustee has the power to employ an attorney, financial advisors, or any other agent. However, the trustee should not make a broad delegation of his powers to another. A trustee is given the power to distribute to beneficiaries. The beneficiary can not compel the trustee to make payments for his or her benefit if the trust agreement provides that the discretion of the trustee is uncontrolled in making distributions. A Trustee can buy or sell items in the administration of their trust whether in a public or private sale. A trustee may also manage the property or assets, through development or improvements to real estate or personal property. They may partition or break the asset into smaller pieces and abandon / disregard property when it is in the best interest of a beneficiary. Superlawyers rate the top attorneys Florida, and The Law Office of David Goldman has been rated by Superlawyers for estate planning and probate lawyers in Jacksonville, Florida. If you are interested in more information regarding the duties and the powers of a trustee, please contact us today. If you would like more information how the Powers of a Trustee, CONTACT our Florida Trust Lawyers by email or call us at 904-685-1200 to discuss your situation today.